CO 402 and North I-25 Rendering Image Credit: CDOT. The 120-day closure of CO 402 across North I-25 is scheduled to begin May 7. 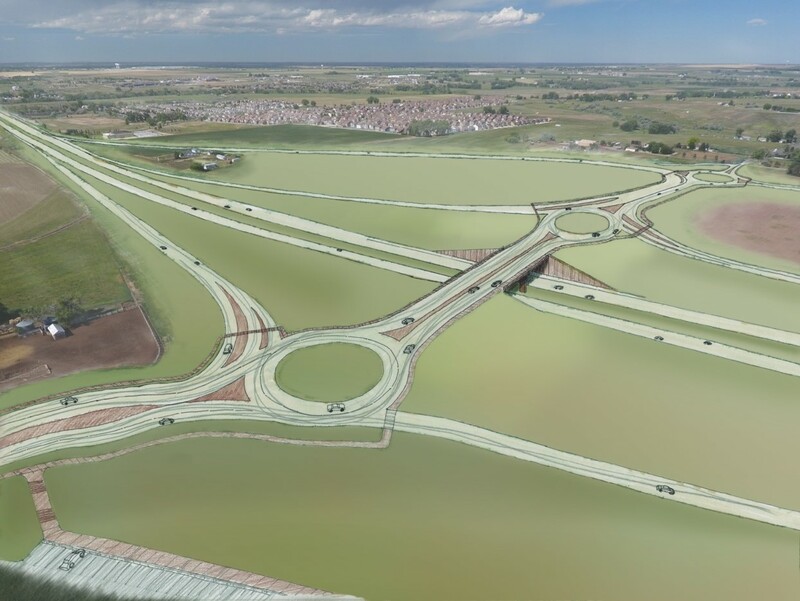 The closure will speed up the project, which includes constructing Express Lanes on North I-25, flipping I-25 and CO 402, shifting North I-25 to the east to eliminate a sharp curve, and constructing a new frontage road to the east of the interchange. The closure on CO 402 is from the northbound ramps to the southbound ramps. For northbound I-25 access from the west side of I-25: Take southbound I-25 to Colo. 60 (Exit 254), then get on northbound I-25. For eastbound Colo. 402 access, continue on southbound I-25 to Colo. 60, then take northbound I-25 to Colo. 402 and exit eastbound. For southbound I-25 access from the east side of I-25 on Colo. 402, take northbound I-25 to U.S. 34, then continue onto southbound I-25. For westbound Colo. 402 access, continue on northbound I-25 to U.S. 34, take southbound I-25 and exit on Colo. 402 westbound. Read more on the closures from the Greeley Tribune.